Disclosure: The Lapdogs are Chewy Influencers and received an Outward Hound DayPak, free of charge, in exchange for spreading the word about the product and Chewy. We only share information that we feel is relevant to our readers. All opinions expressed are our own. Chewy is responsible for the giveaway prize. New Hampshire is beautiful in the fall and I've begun scoping out some dog-friendly hikes that I want to do. 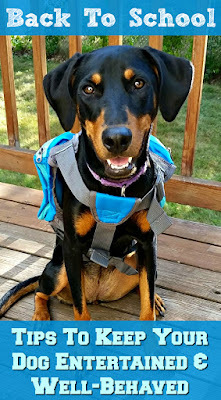 We'll need to tote around a few more things than we take on our walks, and thanks to our friends at Chewy.com, Penny is ready to go with her Outward Hound DayPak backpack! The DayPak is a light-weight, saddlebag style backpack designed to allow your dog to comfortably carry her essentials on walks, errands, and day trips. The pack features a breathable mesh harness with adjustable straps to not only maximize fit, but comfort as well. You may notice that the pack is a little loose on Penny. My girl is an odd little-big dog and falls in between the Medium and Large size ranges. She's petite, yet is growing into her muscular Doberman chest. I opted to go with the Large, which may be a little loose now, but it gives us the needed wiggle room as she fills out. She won't be carrying too much in her pack, so I'm okay with the fit as she continues to grow. If we were more serious hikers and I was asking her to carry a heavier load, I might purchase both sizes. The pack features four expandable pockets, allowing you to quickly and easily adjust them to your capacity needs, and the attached D-ring makes attaching your dog's leash a breeze. Just clip in and off you go! I love that it also includes a restraint handle, which gives me that little extra means of having Penny sit and stay as necessary. However, do note that the restraint handle is just that - a quick restraint method. It is not intended to be used to lift your dog, and the pack is not intended to restrain heavy pullers. The backpack was designed in vibrant colors (currently light blue and lime green) with reflective accents to enhance visibility both during the day and night. As the Mom of a black dog who can be difficult to see in the dark, this is extra helpful. Overall, I really love the DayPak and can't wait to start using it! Not too big, not too small, it's truly the perfect size for our casual needs. It holds everything Penny needs for a day trip - treats, poop bags, a tennis ball, bug spray, folding water bowl, small towel, etc. It's stylish too, and Penny doesn't mind wearing it at all. In fact, she seemed to pick up a little strut as if to say "I'm ready... let's go!" And go we will... just as soon as these crazy hot and humid days go away. I can't wait to get out on some day hikes with my girl and explore the foliage this fall! 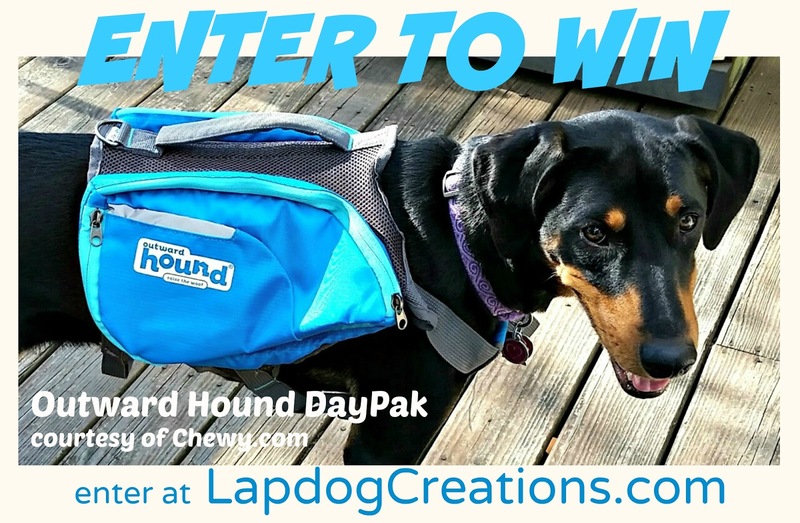 Thanks to the awesome folks over at Chewy, one (1) lucky winner will receive their own Outward Hound DayPak (size and color of winner's choice, based on Chewy availability). I've been looking for a good pack for my pup! No, technically they've never worn a backpack. Does Bailey getting her head caught in the handle of my knitting bag and running around the house with it around her neck count? Bowser's never worn a backpack, but he'd so rock it if he had one! Our boys don't have packs yet but they definitely need them. We went camping this weekend and hiking too and it would have been nice if they carried their own gear. 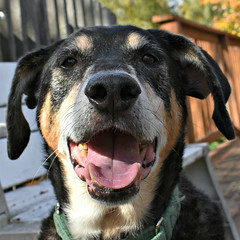 Max (my border collie mix) would be happy to carry all of his toys and tennis balls with him wherever he goes. Lol. We definitely need two of these! My dogs love adventure and run with us all the time. It would be nice if they carried their own water on our runs. 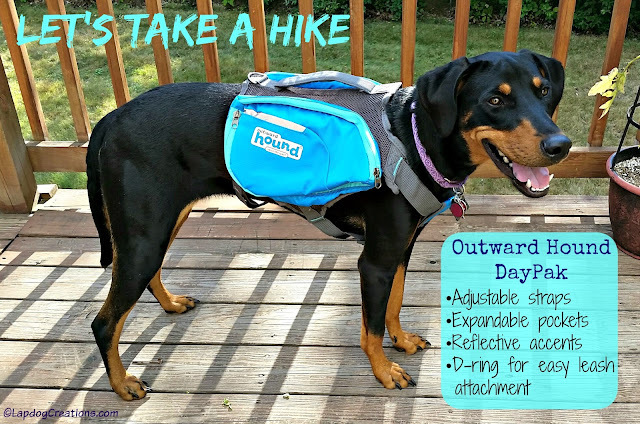 Opie does not currently wear a backpack but since we are planning on lots of hikes and long walks once the weather stops being so crazy, this would be perfect! My dog doesn't use a backpack. But she would look adorable with one on! It would also be very helpful for her to help out by carrying her own stuff! 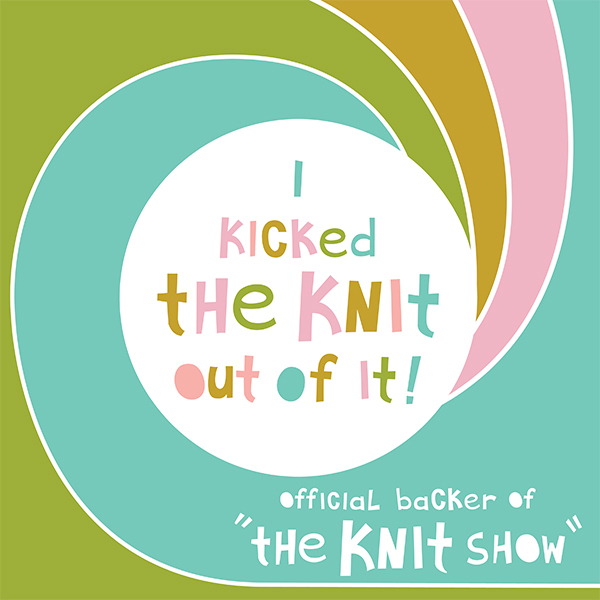 I really wish they made things like this for the xxs crowd! An interesting & informative review. 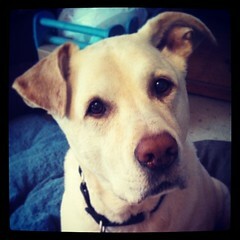 Penny looks great & ready for all those enjoyable hikes in her pack. Have fun. Magic would love to go for a hike! Once the weather cools off, that's on our to-do list. Blue is your color! 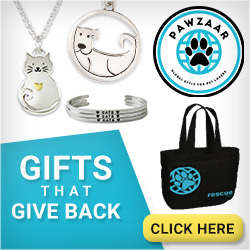 Chewy is a wonderful company to order great pet supplies. Have fun on your adventures. I can't wait for Miss Edie to wear her hiking pack when we go on adventures this fall! no, my girls have never worn a backpack, so this would be nice to see if they would wear one and like it. 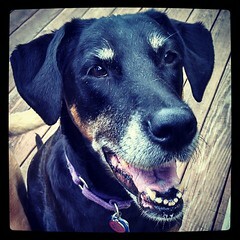 I'm such a huge fan of Outward Hound, we've been using their products for our outdoor adventures for over 6 years now! We do use a backpack for our Husky, Icy, it really is so functional and beautiful too. I'd love a new updated one for her, the one shown here would match the light blue wait pack I bought from them about 2 years ago - I love it and then we'd match! I so hope I win! I think my comment took but I may have messed up, LOL! 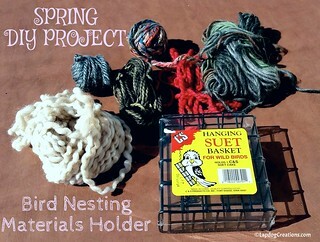 I love Outward Hound products and have been using them for over 7 years in our outdoor adventures! My Husky Icy uses their backpack but we'd love a new one, as this one's getting old. I love the light blue one you show here, it would match the waist belt I bought from them about 2 years ago, which I love! I hope I WIN! Jeff takes Tank for hikes all the time, and one of these would be great for Tank and his boundless energy. Now, with Penny having a hiking pack and boundless energy, that will be great for your fitness, too, because I know that all of us over about 30 could do with a little more walking! Happy Trails to you! Such a fun pack love the bright colors, I also love having my dogs carry a pack we do a lot of hiking but even when we go on walks it a great way to burn so extra energy and make them feel like they are working/ doing a job. We have a little backpack for Nelly. She's so short it is too much of a pain to get down there to put anything in it! I think I put some(empty) poop bags in Nelly's for the first and only time we used it. Another sister gave it to us after she bought one for her Rottie mix. It makes a lot more sense for a big dog to have it than a little thing like Nelly. It's been forever since I've been hiking. I would love to find the time to "take a hike" with my dogs again! My dogs don't have backpacks yet, I might need to get a tiny doll one for Matilda, but I bet Cow could slim down and tone up with one of her own! 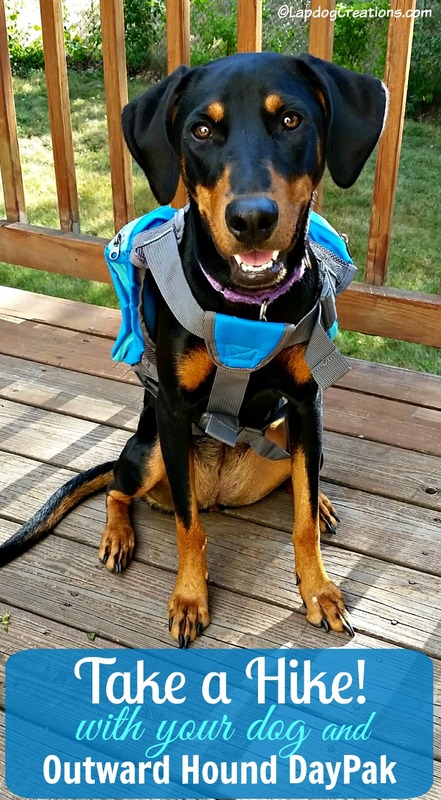 No, none of my dogs have ever used a backpack. I've been looking for one for Mr. N but I can't find a tiny one. This is a great item for a hike or a long walk on a beautiful day. this looks like a great pack to have, i bet Rosa would love to use one like this! Parker has never used a backpack before, but she has no problem wearing a harness so I don't think she would mind! 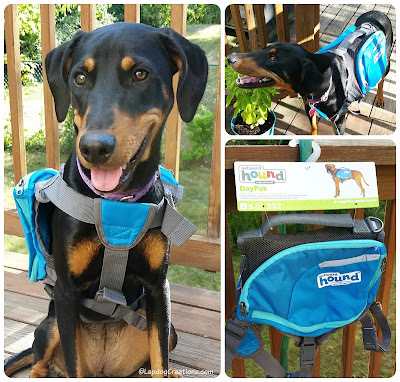 We love Outward Hound products and this backpack looks great! Even if she just started out carrying light stuff I'm sure by the end of the fall hiking season she would be conditioned enough to carry all her things! We don't currently use a pack for either of the dogs, but I think it would be something nice to include, particularly for longer hikes. 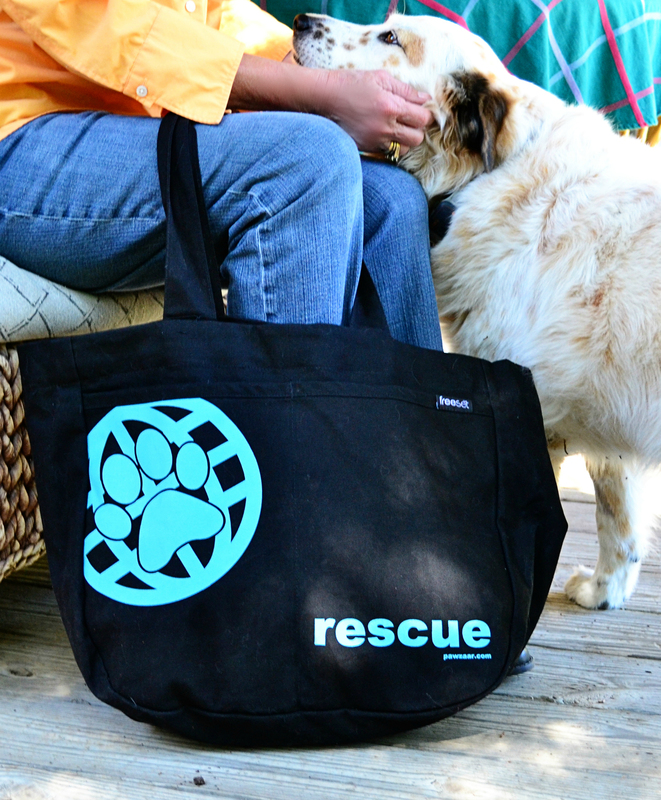 It will allow them to help with carrying items like a collapsible water bowl, extra treats, and poo bags! I like the increased visibility the backpack offers. The Border Collie in Jake likes having a job to do so being responsible for carrying things in The Outward Hound DayPak would be great for him. No my dog doesn't have a back pack yet. But he does wear his service dog vest. A backpack would be handy though. I've been looking for the best one for her but its hard to find one that is good but doesn't cost a lot. Koira has used a pack in the past, but not recently. Ptera has never used one, and I'm not sure if there is such a thing as a pack that fits a 10 lb dog, really. He doesn't have one yet but we're wanting to get one for him soon! No, but I love the idea! !